If you’re after a super clean looking hairstyle, consider the line up haircut for your next ‘do. Also called a shape up or edge up, the style has gained popularity with black men, as it particularly suits African American hair types. The line up haircut is easily identifiable by the sharp, razored edges of the hair. Either clippers with an extremely short guard size or a straight razor produces the ultra defined look. The result is a tidy, almost geometric look that focusses on the lines. This is especially noticeable at the temples, where the hair extends out from the hairline, forming a 90 degree angle. The line up haircut is a great choice if you’re looking for a slightly edgy style that accentuates the natural angles of your face. The line up works best with a square or diamond face shapes. What do I need for the line up haircut? 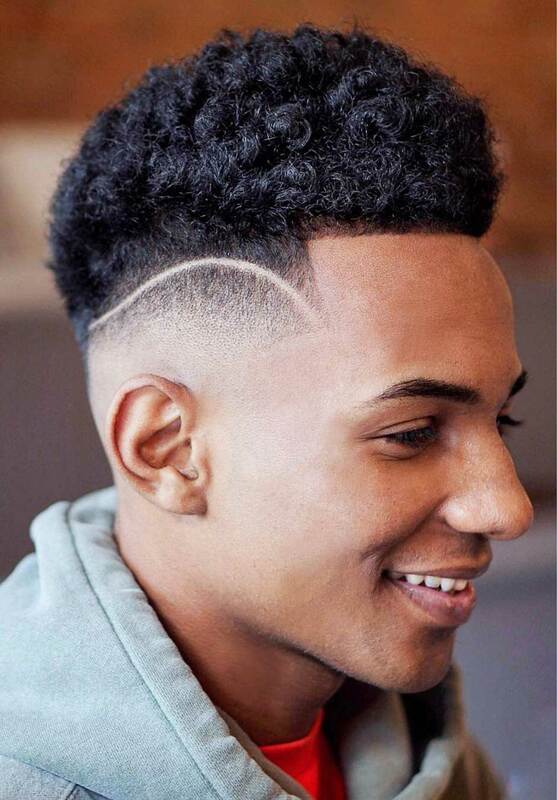 The line up haircut typically works best for black men with shorter hair. If you already have a shorter cut like a crew cut, Caesar cut, or another type of buzzcut, you’re well prepared to get the line up haircut. If you don’t have a shorter cut, you’ll want to get one. All types of shorter buzzcuts will work. However, you can still have some volume on top, depending on the style. If your hair is naturally curly, you can keep the curls on top and get a line up on the front, sides, and back. The line up “haircut” is less of a cut and more of a versatile technique that you can use with almost any haircut for a sharp look. First, you’ll need to settle on a hairstyle. If you’re unsure of what to get, let your barber or stylist know that, and you can work together to find a style that will suit your hair type, face shape, and personal style. Next, it’s a huge help to your barber or stylist if you can find a picture of the line up haircut style you want. Since there are many different kinds of line ups, a picture will help your stylist understand the type you’re after. Your stylist should use short clippers to get the line up effect and a straight razor to clean everything up and give a uniform look. For the front of the head, ask for the hair at the temples to extend out a bit, forming a 90 degree angle. The hairline itself is somewhat higher. The area above and around the ears should also be clipped close and tight. This clipping continues around the back of the head, so the neckline, usually blocked or rounded in this case, is also clipped close and tight. The line up haircut also works well with a skin fade. The sky’s the limit when it comes to incorporating the line up into your existing style.